Drain and toss with soy and sesame oil. Allow to cool. Prepare vegetables and toss with some of the dressing. 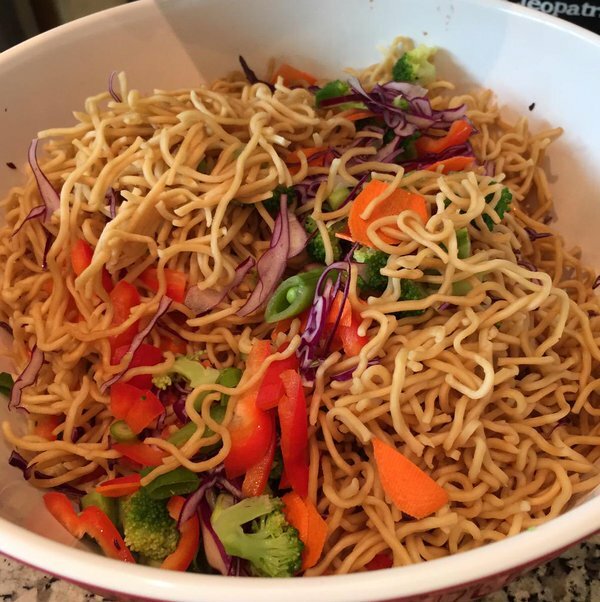 Just before serving, add noodles, toss, taste and add dressing as necessary. This salad is delicious with the addition of shrimp, chicken or fried tofu. 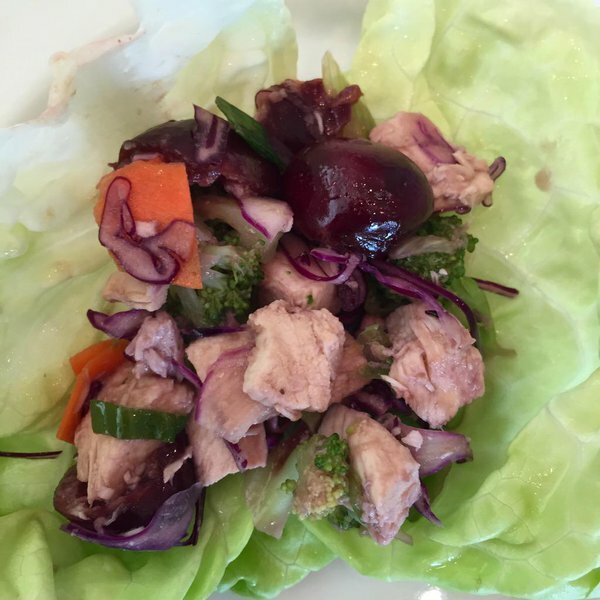 Using the vegetable mixture and dressing above, add fruit such as chopped apple, pear, grapes, cherries (pitted) .Combine with chicken, shrimp, tofu and serve in lettuce leaves. Combine dry ingredients in bowl. Rub in butter with fingers or a pastry blender until it is about the consistency of small peas. Add buttermilk and stir with a fork just until a rough mixture forms. Remove from bowl to a lightly floured surface and knead gently a couple times. Pat out dough to about ½ inch thickness. Cut into desired shapes/sizes and bake on a parchment covered baking sheet for about 20 minutes at 400 degrees or until biscuits are golden brown. 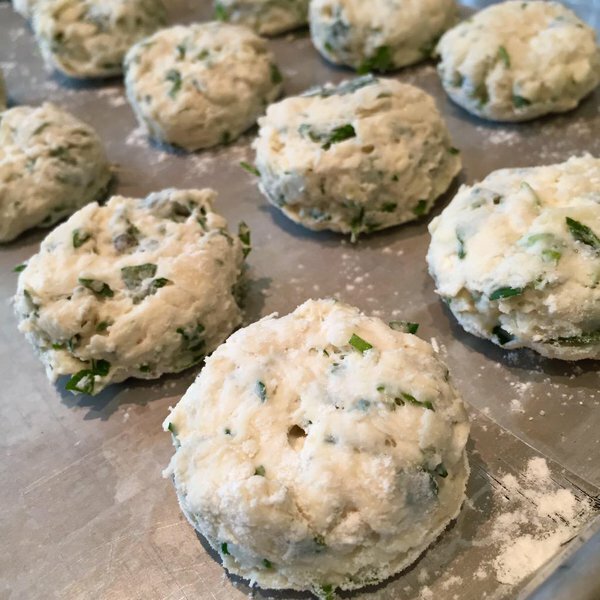 Remove and allow to cool until they are easy to touch.This recipe is easy to adapt to either sweet or savoury applications by adding a little extra sugar or grated cheese and/or chopped herbs. Lay out a large sheet of aluminum foil on a cookie tray. Arrange beets, garlic and rosemary on foil. Drizzle oil on top and sprinkle with salt and pepper. Wrap the beets tightly and place in 350 degree oven for 45 minutes to 1 hour or until beets can be easily pierced with the tip of a paring knife. Let them cool to room temperature. Using rubber gloves or a paper towel, slip off the skins. Rinse and dice. 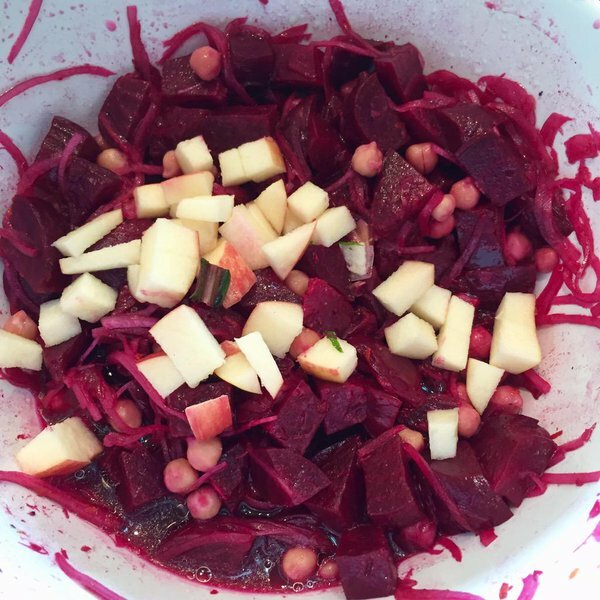 Assembly: Toss beets with 2 tbsp. dressing. Add rest of ingredients and a little more dressing. Taste, adjust seasoning. Process ingredients in food processor, or by hand, using knife or pastry blender until butter is finely distributed, about the size of rice grains. Pour mixture into a buttered pie plate or 9” square pan. Pat mixture firmly and evenly on sides of pie plate or just on bottom of square pan. Using a fork, poke holes in bottom to prevent bubbling. Bake for about 10 minutes at 350 degrees. Remove the weights and continue baking until crust is light golden brown. Pour water into a small saucepan. Sprinkle the gelatin over and let sit for 5 minutes. Warm gently over low heat until the gelatin is completely dissolved. Add the gelatin to the strawberry mixture and blend until smooth. Refrigerate the mixture in a bowl in the refrigerator for about 30 to 45 minutes, stirring every 10 minutes or so until thick enough to mound on a spoon. It should be a little thicker than egg whites. Whip the cream until peaks form. 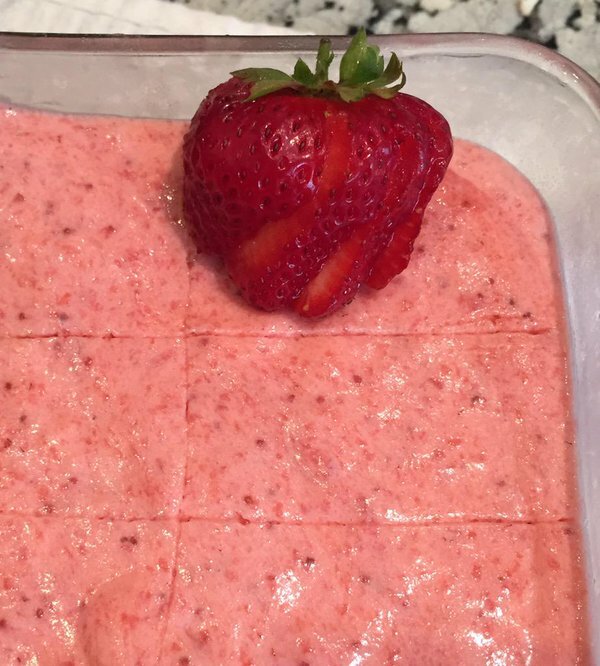 Gently fold the strawberry mixture into the cream. Mix gently but thoroughly and fill the shortbread crust. Refrigerate for several hours or until firmly set. Decorate as desired with fresh berries and serve. Lay out a sheet of heavy-duty foil or a double layer of thinner foil. Spread about 1 tbsp. of butter on the foil. Pulse until finely chopped and scrape sides of bowl. Add cheese and pulse for a few seconds, just until combined. Add basil and lemon juice and process for a few seconds. Store in a glass jar or freeze in ice cube trays. When storing pesto, increase the lifespan by covering the top surface with oil. This prevents the basil from oxidizing.